The implications of using either or both of the phrases arising out of and relating to is a topic of perennial interest. (For example, see this post, this post, and this post.) So today an article in Corporate Counsel entitled 3 Pitfalls in Contractual Choice-of-Law Provisions (here) caught my eye. It’s by two partners and an associate at McDermott Will & Emery. This summer, in Innovative Biodefense Inc. v. VSP Technologies Inc., the Southern District of New York was presented with this question and answered “no.” Despite the seemingly broad “all matters” language, the District Court found that the choice-of-law provision was not sufficiently broad to encompass the tort claims. It’s not a good sign when someone recommends using “magic words” in a contract. If you want to bring a broad but predictable set of claims within the scope of a provision, it would make sense to focus not on the contract but instead on the activities that the parties will be engaging in as part of the transaction contemplated by the contract. That would allow you to dispense with or relating to, as you wouldn’t need to make the leap from contract claims to other claims—any claim, whatever its nature, would necessarily have to arise out of the activities that the parties would be engaging in under the contract. You could articulate this meaning by using arising out of the subject matter of this agreement, but you would be trading one kind of vagueness for another—there’s no shortage of litigation as to what the subject matter of this agreement means for purposes of a given contract. You would be better off instead saying what the subject matter of the contract is. For example, if you’re dealing with a confidentiality agreement, you could say any disputes arising out of this agreement or the Recipient’s handling, disclosure, or use of any Confidential Information. And if you want to make sure that a fee-shifting provision in a limited liability-company operating agreement would apply to proceedings seeking dissolution, then instead of referring to “any action or proceeding brought to enforce any provision of this Agreement,” refer to “any dispute arising out of this agreement, ownership of any Interest, or management or operations of the Company.” Regarding the dispute over the scope of the narrower alternative, see Henderson v. Henderson Investment Properties, L.L.C., 148 Idaho 638, 227 P.3d 568 (2010). This approach allows you to articulate clearly the intended meaning. Instead of establishing an overly narrow set—the contract—and relying on a vague standard to reach beyond it, you establish the relevant set—activities under the contract. Plenty of courts have had occasion to assess the meaning of arising out of or relating to, but that hasn’t served to make it any less vague. 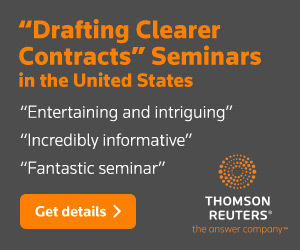 You can count on its continuing to blindside contract parties and their lawyers. 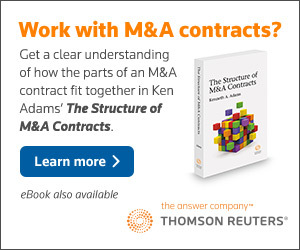 If in fact you want to limit the scope of a dispute-resolution provision to claims arising under the contract, it would be reckless to assume that using only arising out of would accomplish that. Instead, include a provision excluding extracontractual liability (see 3.292). What distinguishes my approach from the approach advocated in the Corporate Counsel article and other commentary? Most who write about contract language approach the topic as if contract drafters have at their disposal only fragments of language gleaned from caselaw. But as Chancellor Strine of the Delaware Chancery Court has in essence observed (here), judges are in the business of making sense of the confused language that they’re given, whereas I have the liberty of figuring out how to say stuff clearly and in a way that avoid the risk of dispute. 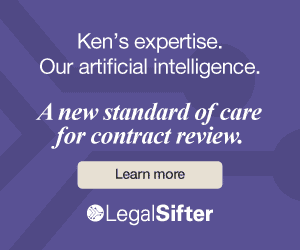 Drafters who insist on rehashing old caselaw in their contract language are putting themselves, their clients, and their readers at a real disadvantage. In closing, you might have noticed that recently I’ve taken the opportunity to critique what I see as flawed analysis in a number of recent articles. Does that make me a bully? I don’t think so, as it’s for the best if ideas are tested in the marketplace of ideas, with the stronger ideas besting the weaker. But if I’ve been snide while doing it, that would be a different matter. I try to keep things interesting; let me know if I’ve strayed over the line into snide.